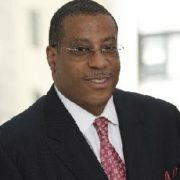 Philip A. Berry is President of Philip Berry Associates LLC, a management consulting firm which focuses on executive coaching, personal branding, global talent development, leadership training, global diversity, cross cultural competency, innovation and organizational effectiveness. Philip has lived abroad and worked in over 60 countries and gained extensive experience in leadership development and human capital improvement strategies on a global level. As the former Vice President of Global Workplace Initiatives and Corporate Officer for Colgate-Palmolive, Philip led the company’s efforts to attract, develop and retain a diverse workforce. He was responsible for developing, implementing and evaluating diversity and inclusion strategies on a global basis, along with government compliance. He was also the Global VP for Employee Relations & Best Place to Work. In prior senior HR roles, he served the Central Europe/Russia, Africa/Middle East, Latin America, and Asia and lived in Paris as VP for HR Europe. In each of these areas, Philip made major contributions on key business issues, particularly goal alignment, executive compensation, business development and acquisition integration. Prior to joining Colgate-Palmolive, Philip acquired HR expertise at Procter & Gamble, where he worked for eight years in labor relations, organizational development and compensation. He also worked at Digital Equipment as Personnel Manager and the Triborough Bridge and Tunnel Authority as Vice President of Human Resources. Philip serves on numerous boards. He is the Vice Chairman of the Board of Trustees for City University that has responsibility for the 24 colleges within the New York City. 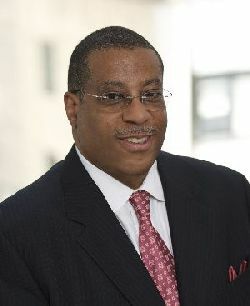 He is a member of the Board of Directors Global Commerce Education, a cross cultural competency think tank; a member of the Advisory Board of the New York City Center, an arts and cultural institution; an advisor to the Corporate Diversity Council for the Asia Society and a member of the International Executive Resources Group. He is recognized for his many contributions. He is a recent recipient of the Crossing Borders awards from Feminist Press. Other of Philip’s awards include: several awards from National Hispanic Corporate Achievers, Community Service Award the Caribbean American Chamber of Commerce; the National Association of Asian American Professionals, the Quality of Work Life award from Work Life Matters magazine, the 100 Most Powerful Blacks in New York award from Crain Magazine, the Communicator of the Year award from Global HR News and the Governor’s award for Distinction in Community Service. Philip is the author of “Being Better Than You Believe: 8 Steps to Ultimate Success”; Outskirts press 2010 and has authored several articles. Among the most recent are The Diversity Officers Role: its Relevance During the Recession, Recovery & the Obama Era: Bonnier Press 2010; Breaking Through the Bamboo Ceiling: Diversity Executive Magazine Dec 2010;Mastering Cultural Dexterity: Diversity Best Practices Journal 2009; How to Re-Light the Fire in Yourself & Others in a Down Economy: Global HR News 3/09 ;How Global Megatrends are Shaping Global Talent Management ; Strategies : Global H R News 12/08 and How Transformational Leadership Inspires Change: Global H R News 11/08. Philip received his MBA from Xavier University, his M.S.W from Columbia University and his B.A.in Sociology from Queens College and AA in Marketing from Manhattan Community College. Philip is certified by the International Coaching Federation and is a certified minority supplier. David Fox, Senior Global HR and Talent Management Leader John Challenger: Microsoft to lay off 18,000. Where do we go from here?